Analog filters are commonly used in areas such as electronics, communications, controls and signal processing. It is desirable for engineers and students in these areas to have a sound understanding of basic filter theory. This book is intended to be an intermediate level treatise of this subject. 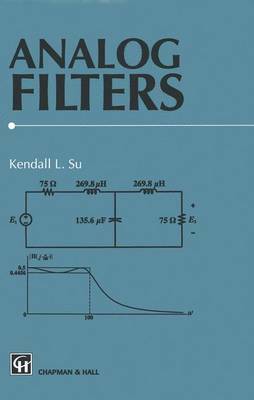 It can be used either as a textbook in a course at either the undergraduate or graduate level, or as a reference for engineers who find it useful to have an introductory knowlege or a general overview of analog filters. It introduces the theory behind filter development and the design techniques commonly used in practice, including the application of standard software packages. Extensive use is made of MATLAB for examples and problem sets, allowing readers to acquire familiarity with the methods for designing filters with a modern software tool.